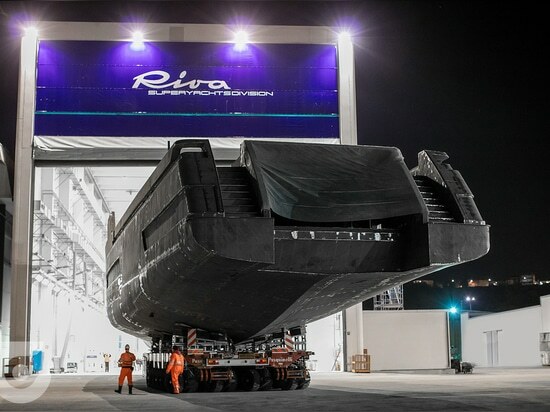 The first Riva 50 motor yacht has hit the water at a private ceremony at the Riva Superyachts Division shipyard in Ancona. 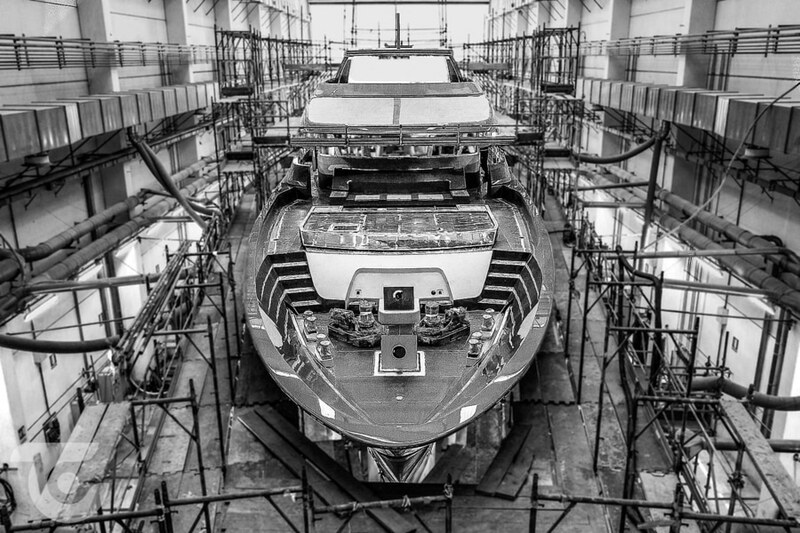 This 50-metre flagship yacht Race is the largest vessel launched by the Italian yard to date. Created in collaboration with Mauro Micheli and Sergio Beretta, the co-founders of Officina Italiana Design, she features both interior and exterior design by the Italian studio. With a maximum beam of nine metres, Race accommodates up to 12 guests across six cabins, with a crew of nine also accommodated for on board. The use of glass on board has also been designed to flood the interiors with natural light to maintain a sense of connection with both the exterior spaces and the surrounding environment. 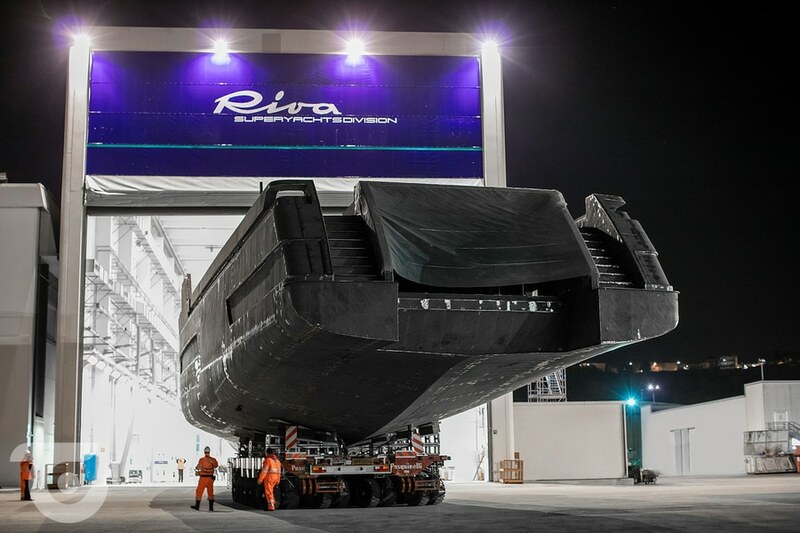 “Riva 50 metre is a huge leap forward for Riva and for the world of yachting, in addition to being an amazing sight on the water. 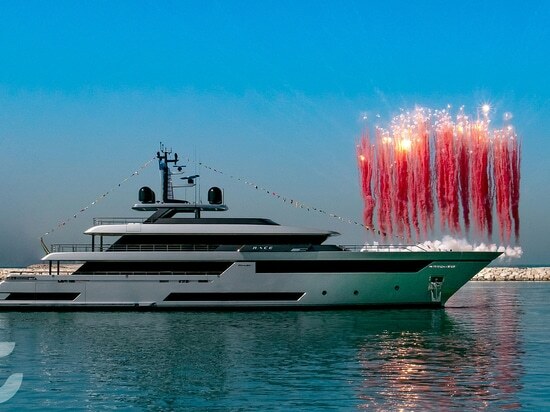 This yacht and her unique magnificence, amplified by her impressive size, also represents a remarkable achievement for the Riva Superyachts Division, which has built the biggest Riva ever made while meeting and enhancing the brand’s signature stylistic excellence," commented Ferretti Group CEO Alberto Galassi. 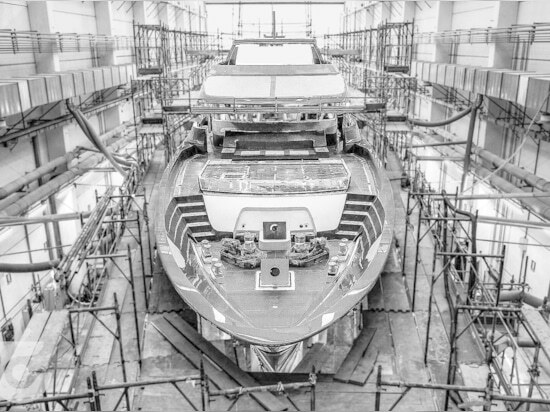 He continued, "From the tiniest details to the breathtaking design, this 50-metre yacht is a treasure of beauty, illuminated by a legendary 177-year history and accompanied by an ultra-contemporary vision of yacht building. The production know-how that people admire in a work of this value is also the best possible example of the ‘Made In Italy’ manifesto that is the signature of each of our brands." Twin Caterpillar diesel 1450 HP engines allow Race to reach a maximum speed of 15 knots and cruise at 11 knots, with a range of 3,500 nautical miles at 11 knots. 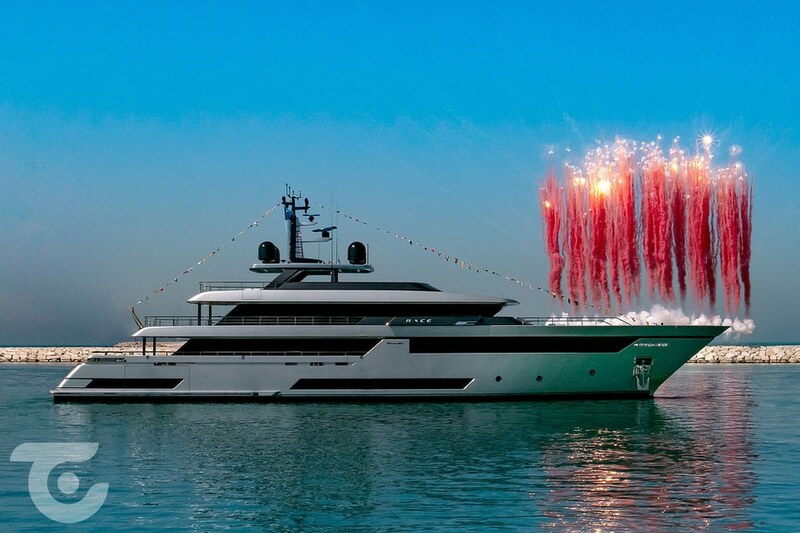 Race will make her debut in June at the Venice Boat Show and she will also appear at this year's Monaco Yacht Show.